The business is a family based partnership, owned and managed by brother and sister Rob Hall and Becky Perry. Rob previously worked for a leading UK lettings agency for over 10 years. He progressed through the ranks to a managerial level, learning all aspects of the profession. 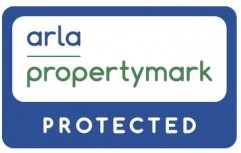 His knowledge of the market and broad experience are backed by his Professional Diploma in Residential Letting and Management, which give Rob fellowship status with the professional body ARLA. He has an excellent track record of building and maintaining strong business relationships with a large portfolio of landlords and tenants. He is also a property landlord himself and therefore has a strong understanding of our clients’ expectations. Becky's previous career was in the logistics industry. For 4 years she managed a busy Distribution Centre for a well known international retailer based in Derby. This has given her a wealth of planning, organisational and management skills which are vital to the running of a successful lettings business. Throughout her career, she has an excellent track record of delivering consistently high levels of customer service. Becky lives in South Derbyshire and our clients can rely on her detailed knowledge of the local area. Both Rob and Becky were ready for a new challenge and knew that their complementary skills and experience were a perfect fit to build a successful lettings business.